In 2018, it seems like more and more beauty bloggers are popping up each day. It’s the career everyone wants: play with makeup, hair, and clothing each day while getting paid to show it off? Sounds too good to be true. But for beauty bloggers like Lilit Caradanian and Nikkie Tutorials, this is their reality. And they’ve proven themselves to be incredibly good at it. Well, you don’t get YouTube or Instagram famous overnight. Even though it often seems like anyone with an Instagram account and a face can become a beauty blogger, there’s a lot of hard work that goes into it, and it requires a lot of upkeep to maintain. But that doesn’t mean it’s unattainable either. 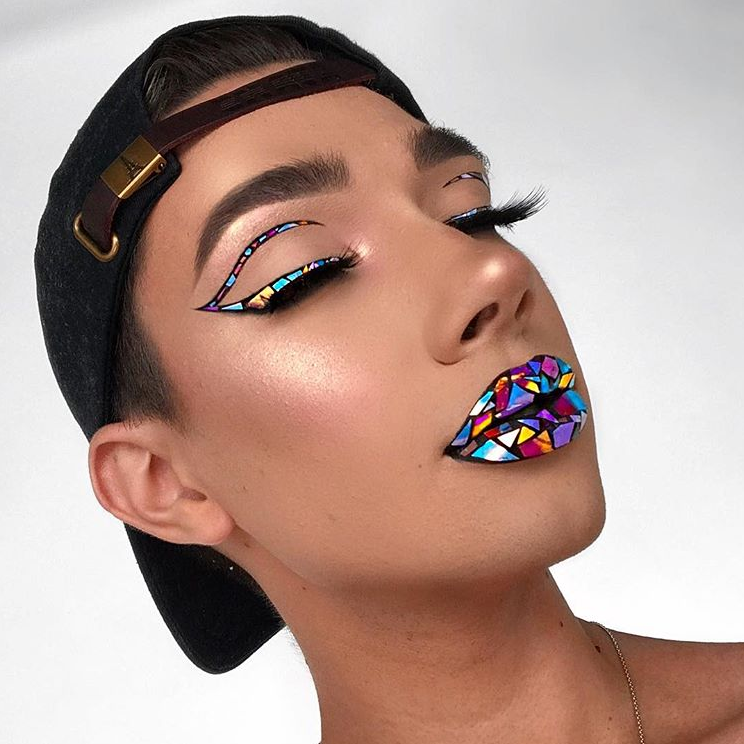 As digital marketers, Oozle Media is always trying to be on the forefront of all things social media, so we wanted to see what it is exactly that makes these beauty bloggers so successful on Instagram. We researched and tried to find patterns in popular beauty bloggers’ Instagrams to see if we could possibly recreate them for our clients. Here’s what we’ve found so far. In case you don’t know what a beauty blogger is, they are a person who “blogs” via an online blog or vlog, and uses various social platforms to connect with their readers and followers. We tend to focus on beauty and lifestyle bloggers who have a background in makeup and hair, like Lilit Caradanian because that’s our area of expertise. Lilit is a veteran in the beauty industry. She has over one million followers on Instagram, thirty-four thousand followers on YouTube, and even has her own makeup line. It’s safe to say that we could learn from someone this successful in the digital world. Let’s check out her Instagram. 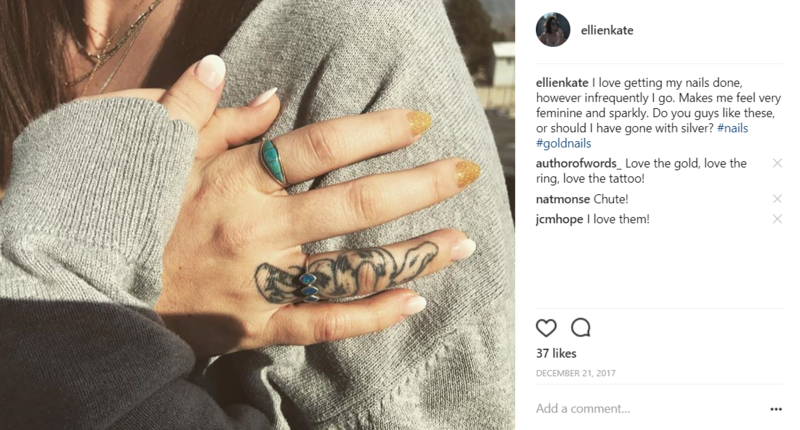 So to begin, here is what we found to be true for both Lilit, and a few other beauty bloggers like Laura Lee, Tati Westbrook, and James Charles on their Instagram accounts. They post almost daily, if not multiple times a day. They post mostly pictures of themselves, mixed with a product feature every few days. In addition to highly-edited and highly-posed pictures, they’ll include more regular images where they ask their viewers questions and admit when they struggled with a particular look. They each post short video makeup tutorials between every 3-7 posts. Though engagement on their posts was high, only some of them chose to respond to particular comments. They often did collabs with other makeup artists, celebrities, and family or friends. Each participated in makeup trends like Makeup Eye Tattoos, or Stained Glass Lips. They each have a branded hashtag that they use on their posts. Their followers use the hashtag when they interact with the blogger. Hashtags are important – in order to stay relevant and get their content in front of people, each beauty blogger uses hashtags of the products and makeup lines they use on beauty posts. They use fewer hashtags because they’ve already built their following, but we’ll give you a new blogger hashtag strategy at the end of the article. They stick to their own personal brands. Meaning that they have a certain aesthetic that they try to maintain in each post, be it lighting, framing, or even a particular pose. It took these beauty bloggers years to become as widely known as they are. They each worked hard to obtain the following and influence they now have. 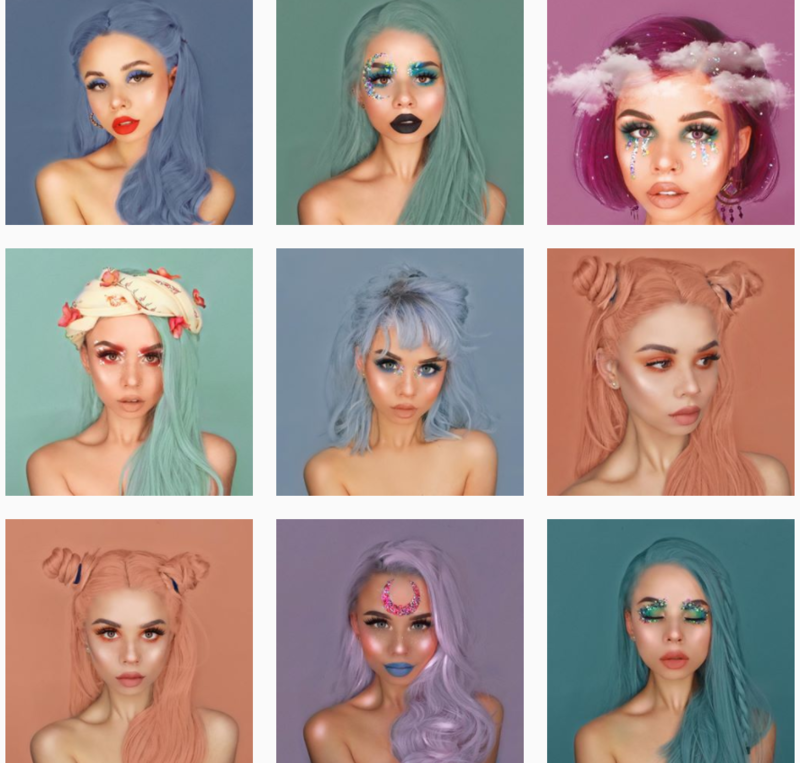 We wanted to test whatever we learned about the methods of a successful beauty blogger to see if they would work regardless of the person’s previous social media habits. 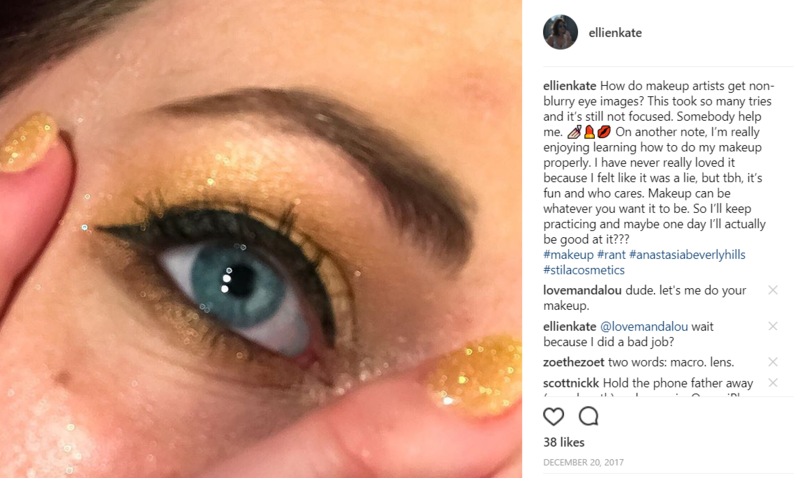 Because we wanted this person to essentially behave like a real entry-level beauty blogger, they needed to have no prior experience, and a low follower count. Enter: me. 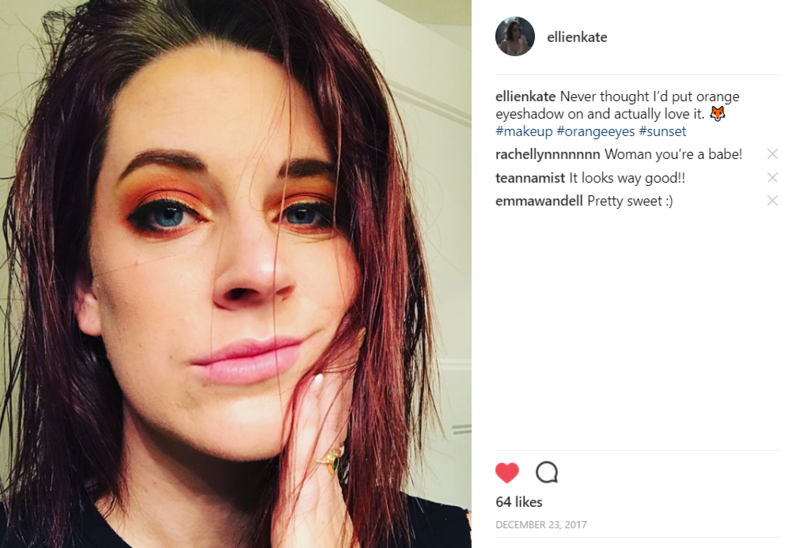 For one week only I would live my life like a beauty blogger on Instagram (@ellienkate). This would include posting makeup and hair pictures, using specific branding style, posting daily, and inviting followers to engage. Because I am not exactly a qualified makeup…person, and I don’t even have a blog, I decided not to use a personal hashtag. My name is Ellie Tippetts, and I’ve been pretty anti-makeup my entire life. Personally, I always felt that makeup should only be used to enhance existing features, and I (judgmentally) always thought that those who used a lot of makeup were trying to hide something. I knew I needed to change my attitude, and being a person always willing to try things outside of my comfort zone, I became Oozle’s guinea pig. To give you an idea of where I started in this experiment, I currently have only 403 followers, with 202 posts over the course of 4 years. My pictures mostly consist of me and my cute husband, or pictures of photoshoots I’ve done. I also believed, prior to this experiment, that posting more than once every week or so gets annoying for your followers. So I kept my posts infrequent at best. It was going to be hard for me to post daily, and even harder for me to act casual about it. Enter: Tiff. Tiffany is one of our social gurus here at Oozle Media, and she is a much more talented makeup and hair artist than me. Before I began this whole experiment, I asked her if she could tutor me on proper hair and makeup application. Tiff graduated from the Aveda Institute in Dallas, and I trusted her to put me on the right path. 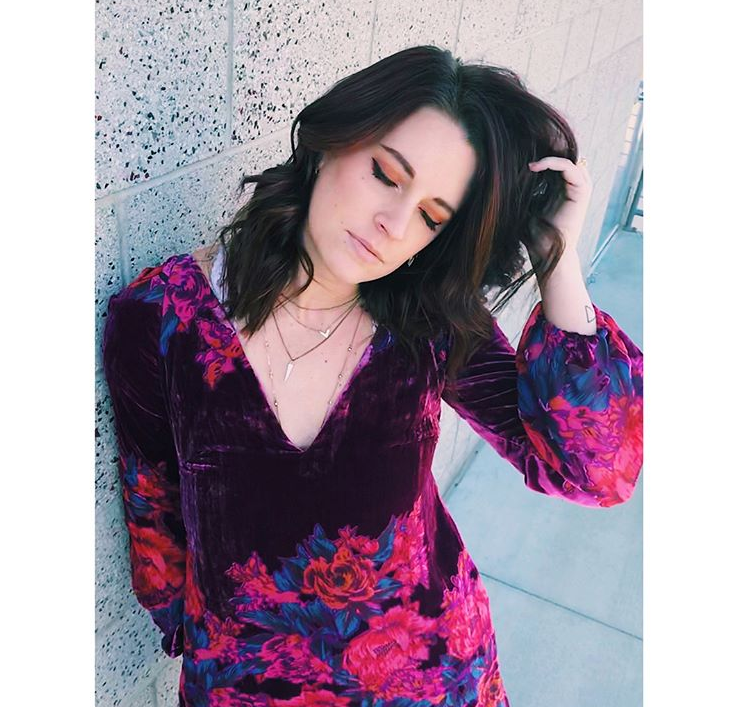 In keeping with what we’ve learned from our beauty blogger experts, I knew that I needed to post at least once a day, and it needed to be something about my hair, makeup, and outfit. I considered posting a video, but then I realized that this week (the week before Christmas) was just going to be too busy to dedicate that much time to video editing. But I still feel that I started the week off right with this post. Beauty bloggers often get paid to promote certain beauty products, which is why Tiff and I felt the caption we chose was relevant. This post received about the same amount of likes I typically get on pictures of myself, but I definitely got more comments than usual. I tried to be engaging and respond to a few. Day Two was not quite as successful. I wasn’t at all happy with the way I had dressed or done my hair and makeup that day. Not sure what to do, I literally went home and showered and started over. By then we had plans to go to the Temple Square lights in Salt Lake City, so I hoped I could take a pretty picture while we were there. 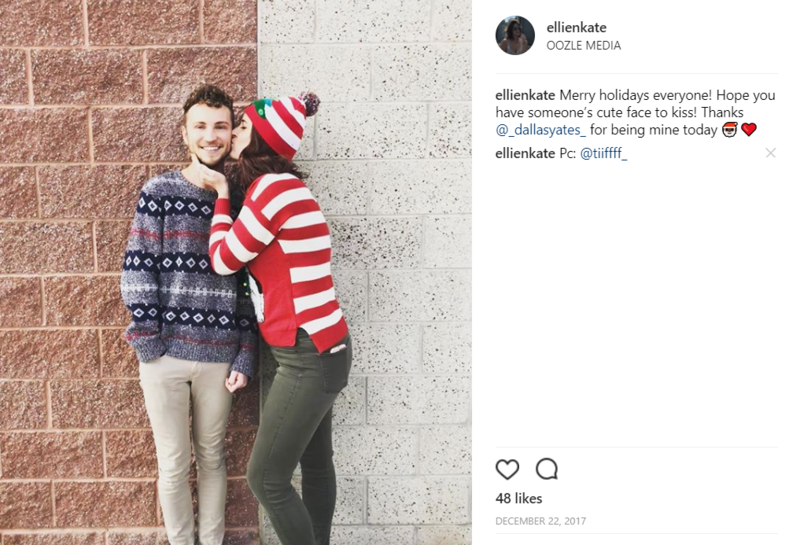 After all, I had seen plenty of cute pictures of beauty bloggers in front of Christmas lights, and I wanted to go for a bit more of a “everyday life” type of photo. I didn’t get too many likes on this one. Based on what we know from our beauty gurus, I believe this picture would have performed better if I had used a longer caption, and perhaps edited it better to fit my “brand.” After all, this image looks literally nothing like the previous day’s post. I had to do better. Still pretty blurry, and I knew it, even after I thoroughly edited it using the Photoshop Fix app. I took to the comments to ask for help, and people were pretty responsive. As you can see, I got less likes but more comments. Does this have something to do with the fact that I used a much longer caption? Possibly that I used more hashtags? If beauty blogger lifestyle has taught us anything, in order to be successful on Instagram, it’s important to ask questions and admit your flaws. Beauty bloggers post all things makeup and nails, which is why for Day Four I wanted to try my hand at getting them done. This was literally the third time in my life I’ve had my nails done, so this was a bit of a change. I was wondering how my followers would react to this change in personality, and honestly I wish I had more time to interpret the results. This extremely posed image got the same amount of likes, and less comments, even though I was specifically asking for engagement. For Day Five I decided to try the successful beauty blogger tip of doing a “collab.” I wasn’t about to do makeup on someone else when I could barely do it on myself, so I instead decided to take an embarrassingly cliche photo with another Oozler. Dallas was kindly willing, and the likes on the image jumped back up a little. Day six was interesting because this was the day I liked my makeup the most. Like I mentioned before, I really wanted to focus on beauty, so I wanted to post one final makeup picture. I was going to a few friends’ Christmas parties that night and I wanted to experiment a little. The best-performing post so far this week was the first one, so I tried to do something similar. This pretty average selfie took literally seventeen tries to get right. How do beauty bloggers have the time? I even went for the classic “beauty blogger face smoosh” (not the official title), which I’ve seen countless times. You know the one. Lo and behold, this was the one with the most likes. Why? Based on successful beauty bloggers, I think it was a more liked image because it was a closer image of my face, it showed my actual makeup well, and it was better lit. These are all tactics that beauty bloggers use when highlighting makeup, so if you’re starting from the bottom like I was, make sure you get this locked down before you begin posting. Don’t post daily, at least at first. Your current followers are likely not expecting you to begin posting that often, and might like your posts less than before, as they did with mine in the middle of the week. You can work up to this as you progress. Use an app like Planoly, or even just your phone’s photo gallery, to help you figure out your feed’s “flow”. This can be determined using color schemes, posting in patterns, framing, or any other thing that creates a unified aesthetic for your page, and separates you from your competitors. Don’t just post to post, like I did with my Day Two. It’s better to wait for better lighting and the ability to edit properly than to post just because. Many successful beauty bloggers have photoshoots that they pull images from for weeks after. This helps to maintain that “branding” we talked about. For hashtags: if you’re just starting out, you’ll need to use a lot of hashtags to build your audience, though using generic ones won’t work for you. I would recommend putting them in a comment instead of the caption. Begin with a generic tag like #makeup, click on it and see if you can find more niche tags. Really follow this rabbit hole until you find a smaller hashtag community that fits your brand, and use the same ones that the community is. Build up from there. For personal hashtags: come up with one that is unique to you, but is still short and sweet. Try combining your name with a feature about your method, and make sure you use it on every post. Have fun, and don’t expect immediate results. Consistency is key. It’s about building a snowball. Adding the first hundred followers can feel hard, but the more momentum you get the easier it becomes. Because I only did this for a week, I wasn’t expecting major results. Like I said, I feel this experiment would be better executed over a longer period of time. However, by the end of the experiment I had gained 12 new followers, and gotten a lot of comments and private messages about things I was posting. 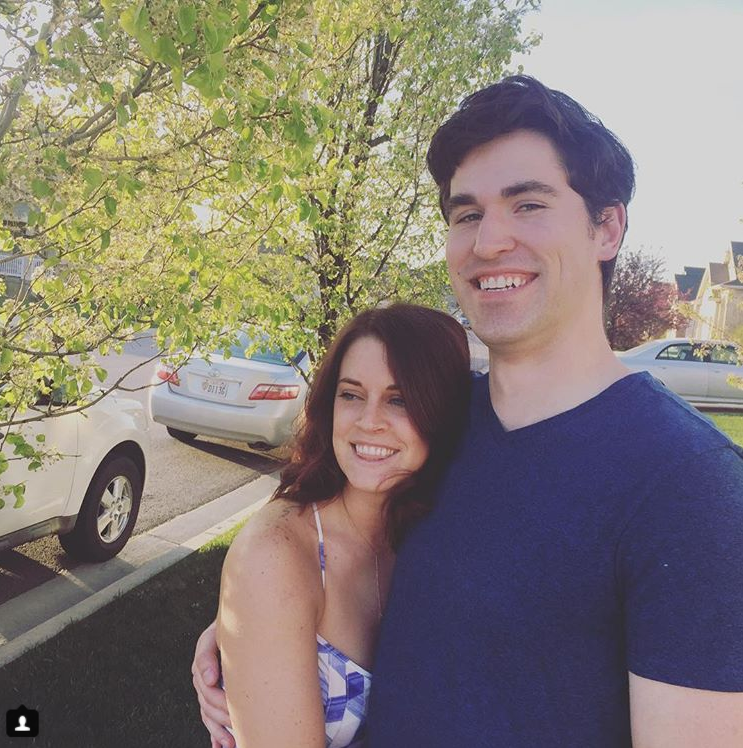 It was interesting to get engagement in that way, though for someone who is accustomed to posting every few weeks, it was a little overwhelming. I guess my final tip is to be aware of how much time and effort you’re willing to dedicate to your beauty blogging lifestyle. After my week of beauty blogging I have a newfound respect for them and their hard work, but I also know that it’s absolutely attainable and really fun once you get into it! Building your brand is entirely up to you and there’s something to be said for originality, so take these useful tips and apply your own personality and expertise to them. There’s no time like the present to begin building a name for yourself! Now get out there and begin your beauty blogging! I must say this is an amazing experiment and every girl should try this at least once. Very impressive. Thanks for sharing in such a detailed way.